Experience the chores of the mid-1800’s through period crafts, demonstrations, games and hands-on activities when you visit Oaklands Mansion’s “Autumn in the Oaks”, slated for September 20, 2018, from 9:00 a.m. until 1:00 p.m. at the historic site, located at 900 North Maney Avenue in Murfreesboro. “It gives us great pleasure to share the house museum and grounds with our community and the surrounding counties. There are so many new members to our area that have not experienced our rich civil war history,” said Oaklands educational director, Mary Beth Nevills. Teachers and parents can look forward to this event again when they attend the “Day of Washing, Churning and Learning” on May 10, 2019. Reservations are being accepted for both fall and spring educational field days which are open to public and private school groups and home school groups. 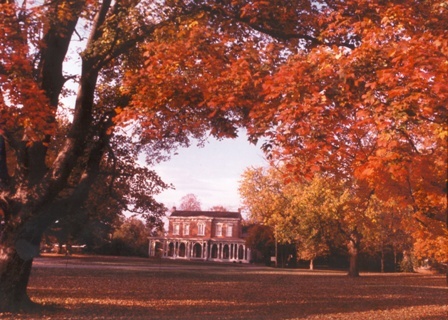 “Autumn in the Oaks” is presented by Oaklands Mansion. Admission is $5.00 per student, $5.00 per adult and free for teachers with ten or more students. Check-in and complimentary parking will be at the Roberts Street Pavilion. This event is open to the public with reservations required for groups. For information, please contact Mary Beth Nevills at 615-893-0022 or email mb@oaklandsmansion.org.